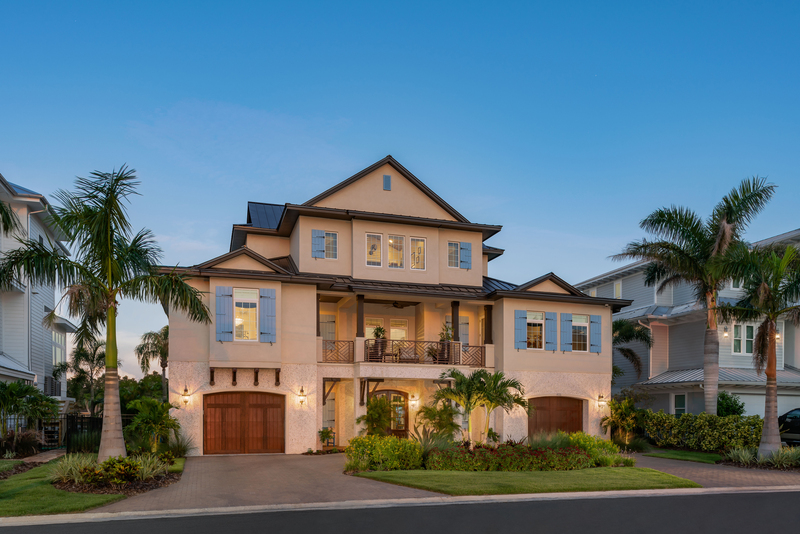 Check out this New, Custom Waterfront Home with West Indies Flair! 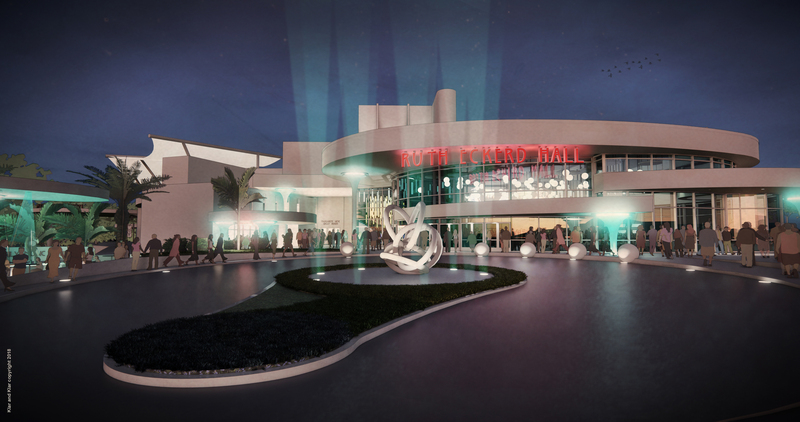 Klar & Klar Architects and Interior Designers provided complete Architecture and Interior Design services for this brand new 7,700 sq.ft. 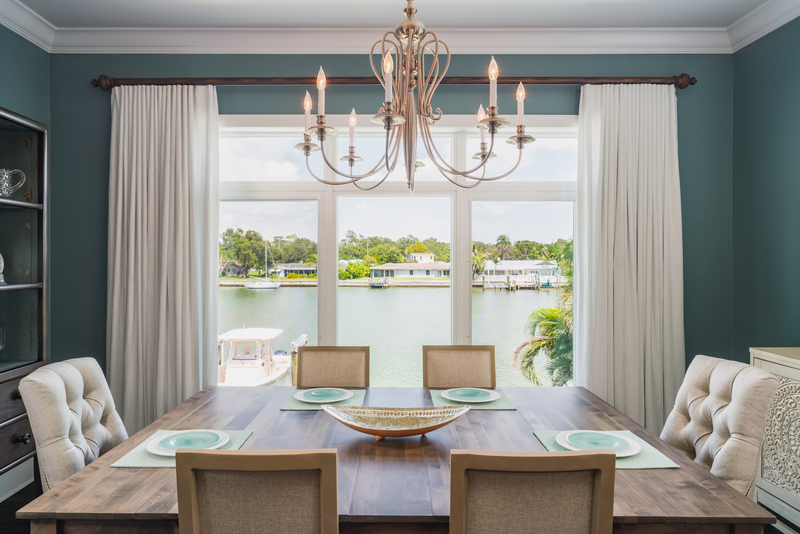 (under roof) West Indies Style home on the intracoastal waterway. This included designing all built-ins and selecting all finishes and furniture. The benefit of working from start to finish on your home with Klar & Kar Architects and Interior Designers is that we help create a seamless look just for you. To view all of the pictures of the home please visit our website or Houzz profile for more! The custom fireplace design provides a charming focal point upon entering the living room level. 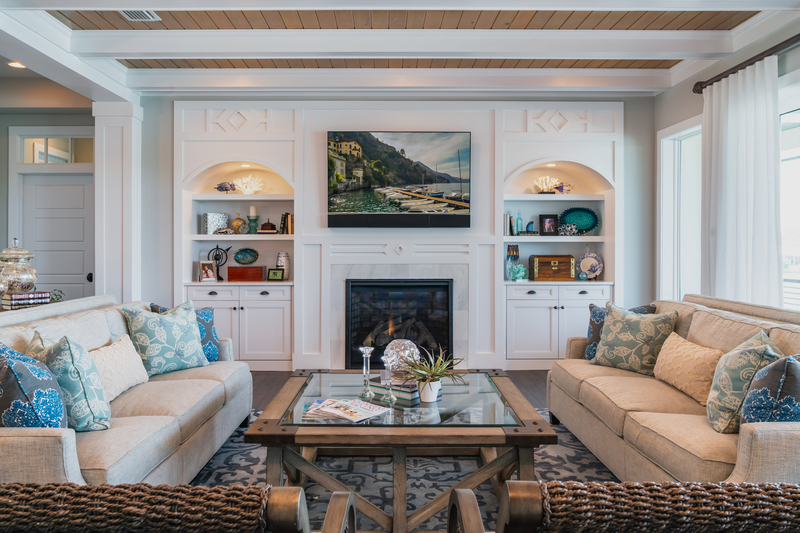 By carefully selecting furniture, fabric, and accents, Klar & Klar Architects and Interior Designers worked hard with the client to create a warm, inviting environment that fulfilled the owners wishes. Klar & Klar Architects and Interior Designers custom designed the kitchen backsplash to bring in the blue-green and white accents. To create this soft dining room look Klar & Klar Architects and Interior Designers selected a taupey grey finish for the dining room table with a blue-green wall paint. With our expertise, we were able to customize the tables legs and dimensions to fit the client’s needs. The seafoam green accents and blue/green wall provide a pop of color to allow the furniture to remain timeless. 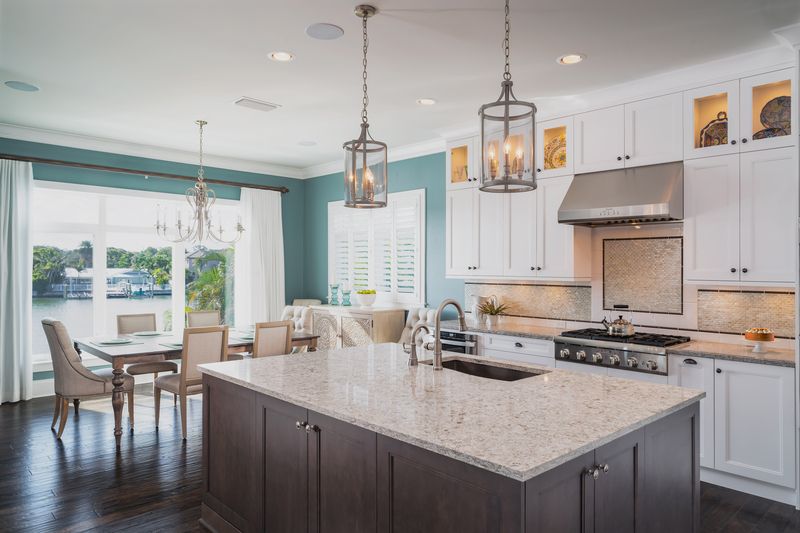 Klar & Klar Architects and Interior Designers chose to go for a bolder look by using a custom colored blue cabinetry. 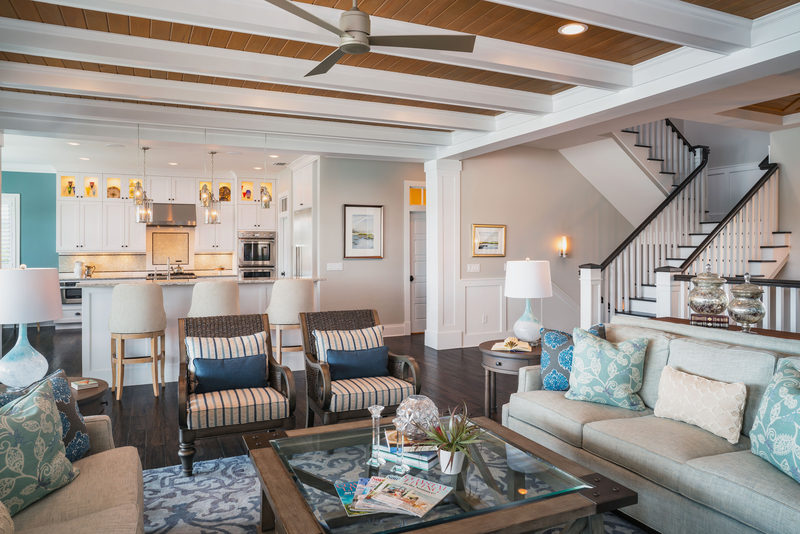 We brought in the West Indies flair with some transitional touches and wood ceiling detail. Klar & Klar Architects and Interior Designers produced an elegant look in the master bathroom by using marble tile with diamond marble accent tile. 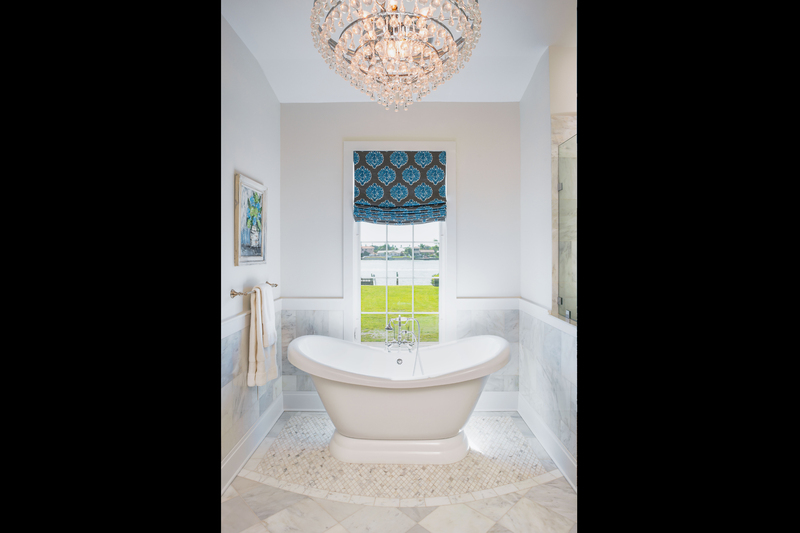 The freestanding tub and chandelier become the focus point upon entering the room.